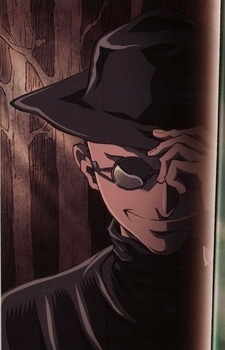 One of the Organization's mysterious servants, he is Clare's contact, giving her the new missions received from the organization and collecting the reward money after each mission. Ageless and mysterious like his peers, his true nature is unknown, and some of his actions makes it look like he has his own obscure agenda. It is later revealed that he is a spy planted in the Organization by the outside continent's draconic tribe, and his main goal is to have the Organization to collapse from within itself. His name can be spelled like "Louvre" (the museum in France, known because of the Mona Lisa painting by Leonardo da Vinci).